Ask fellow campers about "Campgrounds of the South" and nearby attractions. Nice clean park run by very friendly people. Lots of grass to walk the dogs. Good eats and shopping real close as well as good fuel prices on the way in. Will definitely make this a waypoint for our travels. We camped at Campgrounds of the South in a Travel Trailer. Decent value for a full hookup pull thru just off of I-10. An older park, but all utilities were in good working order. Concrete slabs are level, but are heavily cracked. Overall not a bad stopping off point when traveling I-10. OTA TV was ok. We camped at Campgrounds of the South in a Motorhome. The Gulfport area has great fuel prices. Shaggy's Pass Harbor in Pass Christian (they have several locations) is a nice watering hole on a hot afternoon. Bare bones. There are very few trees and those are at spaces occupied by what appears to be permanent or seasonal renters. 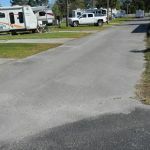 Gravel driveways in disrepair as are concrete pads although the concrete pads are mostly level. This is very close to the highway and is noisy. No picnic tables available. There is one vending machine at the "comfort station" which consists of two bathrooms with showers. We camped at Campgrounds of the South in a Travel Trailer. For the price it was a decent campground. Lots of traffic noise but it's just white noise by now. Concrete pad was plenty long enough for our truck and fifth wheel and hookups were in the correct spot. About a 10 minute drive to the beach in Gulfport and the sand is nice and white. Wifi isn't the greatest and you can have digital cable if you put a deposit down on a cable box. We were able to receive lots of channels over the air so not a big issue. They must've had rain in the last few days as there was a lot of standing water. We camped at Campgrounds of the South in a Fifth Wheel. Gotta visit Half Shell Oyster restaurant in Gulfport. It was the best! The price is right. I had a pull-thru full hook-ups. All worked well. It was a paved pad, but old and broken up. Bathrooms were clean. This place is next to the highway and an airport (the helicopters so loud that I though they had mistaken my trailer as a landing pad). It was fine for one night, and I would stay here again. We camped at Campgrounds of the South in a Fifth Wheel. We were amazed at how white the sand was at the beach in Gulfport. Nice park. Only complaint is the size of the concrete parking pads and street width. Pads are narrow and not long enough for 40' Motorhome and tow car to both fit. Had to disconnect. Parked car on empty site next to us, luckily there was empty spots, otherwise no close place to park car. MH steps extended into grass, which was wet and had a muddy area. Streets are narrow and uneven. Price was excellent thank goodness. Good place for a overnight stay. 1 shower head in ladies bathhouse was broken. No hand soap at sinks. Could not find dumpster to put trash in. We camped at Campgrounds of the South in a Motorhome. This is a good value for an overnight stay. We opted to stay here for one night on our way to Florida. It is conveniently located near the interstate. We didn't find that traffic noise was an issue as some others have stated. However, the poor drainage was a negative. We opted to leave the RV hooked up to the truck, and utilize Lyft to bring us to and from the nearby outlet mall. We camped at Campgrounds of the South in a Travel Trailer. The nearby outlet mall is very large. Cable is included with the rate. Great place for an overnight. Easy to get to off highway and lots of stores and places to eat. Level concrete pad. No amenities but for an overnight we will do again. Not many people there but felt safe and nice rigs stopping for night. We camped at Campgrounds of the South in a Motorhome. Friendly check in assistance. This was a good over night stop for us. Near freeway so highway noise, but with A/C and normal white noise fan we use it was not a disruption to our sleep. Park is in need of restroom upgrade but it was acceptable to use. Would use it as an over night stop again. We camped at Campgrounds of the South in a Fifth Wheel. 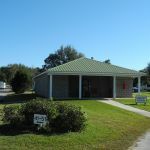 We are easy access to many amenities,I-10 easy access beaches nearby,near highway but quiet otherwise,they allow pets,gated area,friendly southern hospitality,owner offers coffee and snacks every morning he's in,nice lots most are cement patios to park on great place to come for one night or all year round..I love it here! We camped at Campgrounds of the South in a Motorhome. Beaches short driving distance,about every type of stores or restaurants close by. We stayed at this park for one night when we had the need for an unexpected stay due to a warranty repair on our tow vehicle. It served that purpose well. Check in was friendly. I agree with several other reviewers. The concrete pads are somewhat cracked and the site does have drainage issues, evidenced by standing water on the roadways. The sites themselves are elevated above the roads, so I did not see the problem with them. The park is very near Interstate 10, so the noise is constant. However, with a fan or air conditioner running, I would consider it "white noise" which sort of fades into the background. I might consider staying here again if need be. 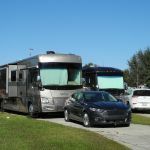 My impression on staying in the immediate Gulfport or Biloxi is that you stay near the interstate or near the railroad tracks at the private RV parks. We camped at Campgrounds of the South in a Fifth Wheel. VERY noisey. Poorly drained, $100 deposit for cable. Pads, old cracked concrete, but fairly level. Airport near by and I 10 directly adjacent. Clean and cheap. Wifi is so poor you won't use it. We camped at Campgrounds of the South in a Fifth Wheel. Roads are tight. I probably wouldn't stay here again. I'm worth another $10. For a quiet, grassy, dry campground. It's not terrible and if funds are tight I understand, but to be honest , I'd rather spend more, get better. With that said, it clean and cheap. 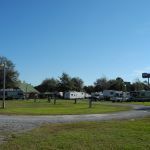 Located just off I-10 north of Gulfport, MS, this is an average RV park except that the owner/manager is super nice and very welcoming. There are asphalt driveways and concrete site pads, but many of the pads are a bit broken and cracked. We were there during a rainy period and there was a lot of standing water in the driveways. We had a long pull through site with full hookups, no patio or picnic table. The bathrooms are in rough shape and not very clean. If you are a light sleeper you may be bothered by the traffic noise from I-10 nearby. However, it was convenient for a brief stop and the price is right. We paid $24 per night with Good Sam discount. We camped at Campgrounds of the South in a Motorhome. Just off I-10....traffic could be a problem if you like quiet, and railroad nearby. Located behind a large mall. Good price and close to what we wanted to see. Campground has cement pads which are old, but level. We camped at Campgrounds of the South in a Motorhome. The park is clean and well maintained. There are not a lot of amenities. No cable, no pool, no tables, no fire ring, no dog walking area, no . . . well, nothing. There is Wi-Fi, although I was unable to connect. The water is good at 155 ppm. TV reception is good, cell service excellent, and there are not enough trees to block satellite reception. Campgrounds of the South is an easy on and off both Route 10 and 49 making it very convenient for an overnight stop. There are tradeoffs as the traffic noise is fierce. Well, that's the first impression. Then you hear the truck's exhaust brakes - more impressive. Soon, you will discover that the Gulfport-Biloxi International Airport is just a mile away. Depending on which way the planes are taking off and landing, the noise may hit a new high. Next, you'll find that Keesler Air Force Base is less than ten miles east. Now those planes make a lot of noise in defense of our country. And, the military jets may use the Gulfport airport too. After a while, I just tuned it all out and slept well. We would consider stopping here again at the Passport America price. We camped at Campgrounds of the South in a Motorhome. There is everything here, restaurants, Home Depot, and even a Barnes and Noble bookstore. Mugshot's grill & bar open 7 days, Captain Al's steak & shrimp, open Wed. thru Sat., Catfish Charlie open Thurs. thru Sat. Nice drive along the coast. Big wide beaches. Seems like there was a Waffle House on just about every corner. Good location to do drives to Biloxi and Pass Christian. Lots of eateries and shopping close by. Several shopping centers within short distances with most big-box stores close by. Are you affiliated with Campgrounds of the South ?